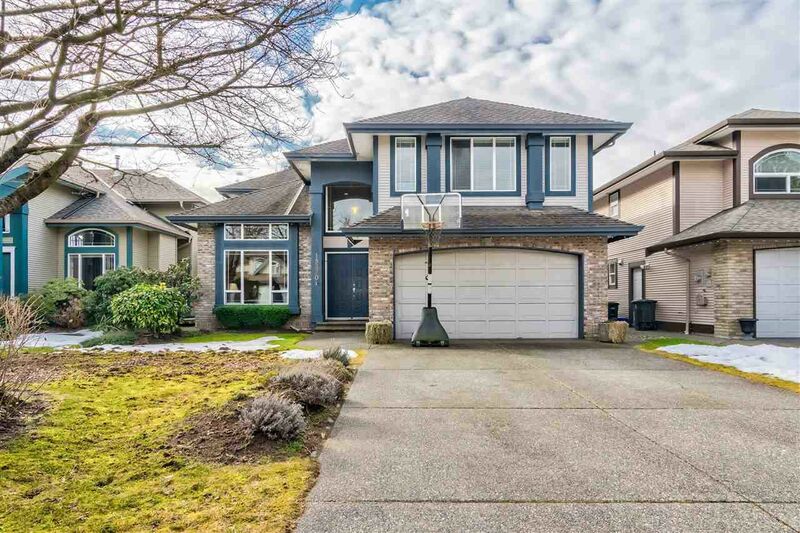 EXECUTIVE Pitt Meadows location TUCKED AWAY in 'Steven's Meadows!' QUICK 5 minute walk to the West Coast Express, 8 minute bike ride to Pitt Meadows Secondary, WALKING distance to shopping & services. This is a BIG, bright, airy FIVE BEDROOM, 2 storey, QUALITY built Tri-Crest Home. One upper bedroom is big enough for a games/media room, the main level bedroom is well suited to a den or home office. The Master Suite has a large walk-in-closet & a 5 piece soaker tub & separate shower en-suite. The ISLAND KITCHEN is wide open, offering a walk-in-pantry, a breakfast nook & view to the fenced, SOUTHERN exposed backyard. Don't miss the flat driveway & the BIG GARAGE with EXTRA space for storage or workbench. RARELY AVAILABLE.